Cost: $160. We are licensed and accept DES or have scholarships available through the YMCA for all programs! Description: This is a Summer Day Camp that is filled with LOTS of fun activities all day which includes group games, art projects, team building activities, field trips, swimming and SO MUCH MORE! More.. Description: We allow your young artist to explore their artistic side through a variety of mediums. Our artists will guide them through several projects teaching them about each medium and different techniques to use with them .Painting, sculpting, mixed-media and more. More.. Description: Do you have what it takes to go for gold? Become a champion as you explore new sports like rock climbing and yoga, then wipe off the sweat and unwind with spa time, swimming, and healthy snacks you’ll learn to More.. Description: Session 1: June 10 – 22 “PEACE ACROSS THE COSMOS” (AGES 6-11) Director: Katherine Byrnes – Music Director: Crystal Stark Session 2: July 1 – 13 “GILLIGAN’S ISLAND” (AGES 12-16) Director: Katherine Byrnes – Music Director: Khris Dodge Session 3: July 15 – 20 More.. Description: Astronauts, unite! Explore Planet Hacienda, where you will discover the density of water, the speed of light, and the science of sound as you perform glow-in-the-dark experiments, make mooncakes, scope out the solar system, and earn the new Space Science More.. Girl Scouts - Cowgirl Up! Description: Channel your inner cowgirl and let’s giddy up! Learn the basics of Western riding, horse safety and grooming techniques, and climb into the saddle and hit the trail. When not on horseback, you’ll have a blast with new friends making More.. Description: This whirlwind week of non-stop adventure will take you to Hogwarts, Wonder Woman’s hideaway, and the Avengers’ training grounds! Let your imagination run wild as you create your own comic book, take aim at the archery range, take flight on More.. Description: Bloom, grow, and blossom at day camp! It’s a girl power extravaganza, where you’ll express yourself through art, dance, and outdoor adventure as you create everlasting friendships with your fellow campers. Make magic on the walls of the Hacienda Bunkhouse More.. Girl Scouts - Glamp It, Girl! Description: Get beyond the basics! Discover the skills you need to rest, relax, and recharge in the great outdoors: sharpen your outdoor cooking skills, fine-tune your first aid abilities, light up a campfire, take a dip in the pool, and add More.. Description: Are you a natural leader? Do you consider yourself a role model? If the answer is yes, then this camp is for you! Seize your chance to shine as you assist our Day Camp Counselors in leading girls to discover More.. Girl Scouts - Sky's the Limit! Description: What’s it take to be a grown-up in this wild and wonderful world? Find out side-by-side with your Girl Scout sisters as you dive into a week of team-building, obstacle courses, and mastering key life skills like car care, power More.. Description: School’s out for summer...it’s time to retreat to your desert oasis for a week of yoga, fitness, and fun! Whip up summer snacks, experiment with DIY beauty products, and cap off the week by filming and starring in your own More.. Description: Mwahahaha! Dry ice ice cream, anyone!? Mad scientists, this one’s for you. Transform day camp into a full-fledged laboratory and experiment with chemistry, biology, and physics in a week of hands-on STEMventures that will make your science classes look like More..
Where: Tanque Verde Elementary School portable plus. Description: We offer a wide variety of activities daily. Arts, recreation, literacy, STEM, Social Studies and Life Skills are part of every week along with yoga and specialty clubs. From cooking to creating inventions, we emphasize learning while More.. Hours: 12 a.m. - 10 a.m.; 5 p.m. - 11:45 p.m. 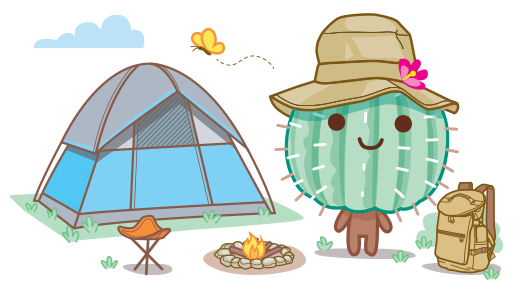 Description: Beginning June 7th and ending July 18, we have 7 overnight camping trips of varying lengths to explore Arizona and the beauty it has to offer. One trip will go to San Diego area and the beach. More.. Hours: 9 a.m. - 1 p.m. Cost: Each week of camp will be a new session and will cost $200.00. Cost includes a daily snack, and a showcase for friends and family. Description: Three one week camps will run concurrently, and will build Improvisational Comedy skills by learning the tenets of improv, practicing improvisational interactions, playing games, and sharing with one another. Students will improve personal communications skills, team work skills, and will More.. Hours: 8 a.m. - 3:30 p.m. Description: Grades 1st – 8th: Your child will love our wide variety of activities, such as Swim Lessons and Free Swim with certified lifeguards, Archery, Technology, Crazy Science, Arts & Crafts, Music & Dance, Field Trips, Indoor and Outdoor Games, and More..